A classic part of Georgian cuisine, Khinkalli are both fun and delicious. The combination of ground beef and pork with the Authentic flavors make for an intoxicating mix. Easily prepared in a variety of ways, such as boiled or fried. You’ll want to keep some on hand at all times. Each is an Georgian treasure in its own right. 30 total. Category: Georgian khinkali traditional. Tags: geogian, khinkali. 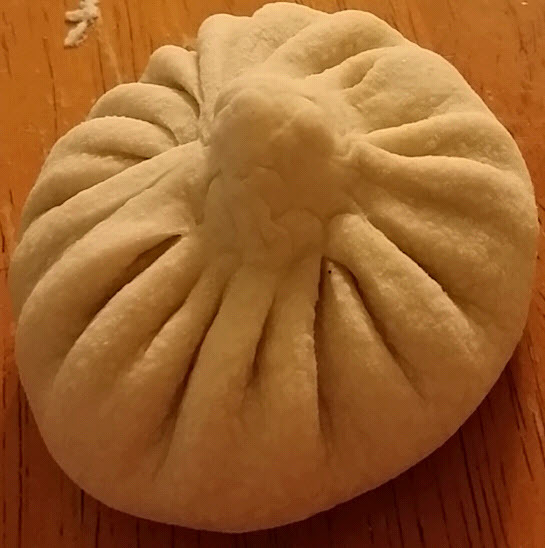 Khinkali (Xinkali)–ხინკალი is similar dish to dumplings, made with hard dough that is usually stuffed with mix of ground beef and pork, sometimes with ground lamb and spices. Originated in Georgia’s mountain regions of Pshavi–ფშავი, Mtiuleti–მთიულეთი and Khevsuret–ხევსურეთიi. Varieties of Khinkali–ხინკალი spread from there across different parts of the Caucasus. Once meant for fasting days, Khinkali–ხინკალი is now enjoyed year-round. It is eaten plain, or with coarse black pepper. 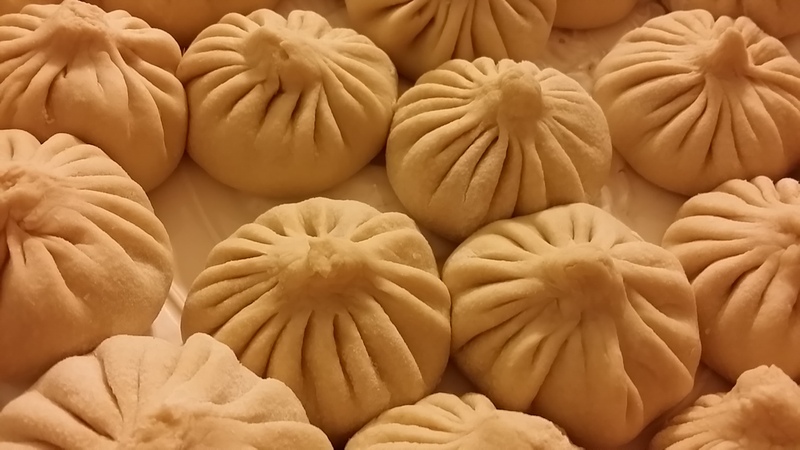 The meat filling is uncooked when it is assembled, so when cooked (boiled in a large pot of salted water) the juices of the meat are trapped inside the dumpling. The Khinkali is typically consumed first by sucking the juices while taking the first bite, in order to prevent the dumpling from bursting. The top, where the pleats meet, is tough, and is not supposed to be eaten, but discarded to the plate. (Adapted from Wikipedia). Bring a large pot of salted water to a boil. 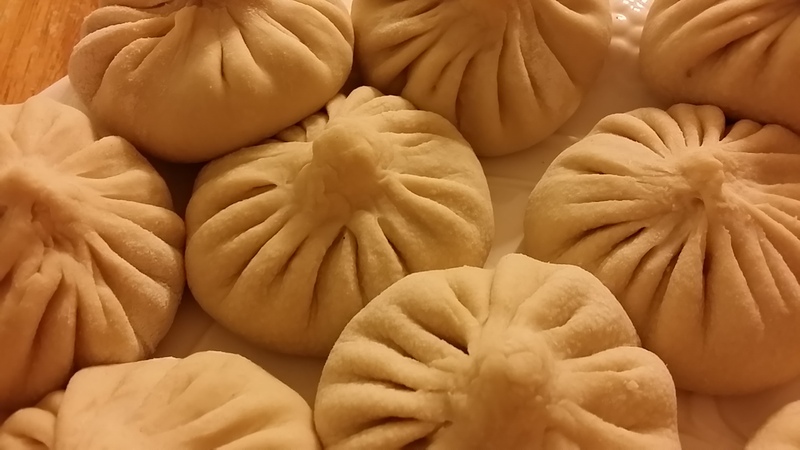 Working in batches, boil frozen khinkali until they float and dough is tender, about 18 minutes. Drain and serve hot, with black pepper.